If brain imaging could be compared to Google Earth, neuroscientists would already have a pretty good "satellite view" of the brain, and a great "street view" of neuron details. But navigating how the brain computes is arguably where the action is, and neuroscience's "navigational map view" has been a bit meager. Now, a research team led by Eva Dyer, a computational neuroscientist and electrical engineer, has imaged brains at that map-like or "meso" scale using the most powerful X-ray beams in the country. The imaging scale gives an overview of the intercellular landscape of the brain at a level relevant to small neural networks, which are at the core of the brain's ability to compute. 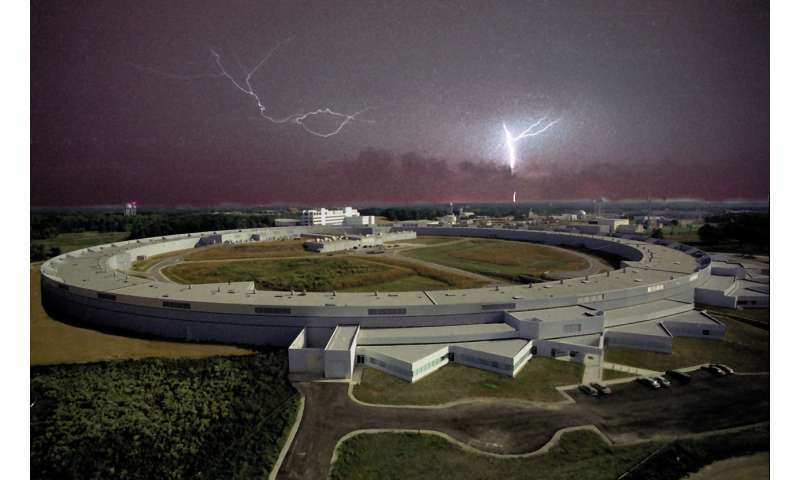 "Argonne National Laboratory (ANL) generates the highest-energy X-ray beams in the country at its synchrotron," said Dyer, who co-led the study with ANL's Bobby Kasthuri at the Advanced Photon Source synchrotron. "They've studied all kinds of materials with really powerful X-rays. Then they got interested in studying the brain." "Our brain cells are embedded in this sea of vasculature," said Dyer, an assistant professor in the Wallace H. Coulter Department of Biomedical Engineering at Georgia Tech and Emory. "FMRIs image at a high level, and with many microscopes, you're zoomed in too far to recognize the forest for the trees," Dyer said. "Though you can see a lot with them, you also can miss a lot." "If you look at brain signaling on the level of individual neurons, it looks very mysterious, but if you take a step back and observe the activity of a population of hundreds of neurons instead, you might see simpler, clearer patterns that intuitively make more sense." In an earlier study, Dyer discovered that hand motion directions corresponded with reliable neural signaling patterns in the brain's motor neocortex. The signals did not occur across single neurons or a few dozen but instead across groups of hundreds of neurons. Mesoscale imaging reveals a spatial view on that same order of hundreds of neurons. "We have begun doing X-ray tomography on large brain tissues, then we've gone deeper into specific tiny regions of interest in the same tissue with an electron microscope to see the full connectome there," Dyer said. The connectome refers to the total scheme of the hundreds of individual connections between neurons. "I think what we're going to need in neuroscience is this ability to traverse across different scales," Dyer said. She envisions a future multi-scale imaging technology that is useful in understanding neurological diseases. "We want to be able to tell somebody researching a disease what the underlying anatomy of their lab sample is in an automated way," she said. "You could navigate using this mesoscale view to get the context of where the damage is." Then the user could zoom in on a blocked artery or destroyed tissue analogous to the way satellite imagery can zoom in on traffic jams to see what's causing them. It may be possible to examine minuscule brain regions piece by piece with electron microscopes then compute them together into a complete image of the brain, but it's hardly practical. 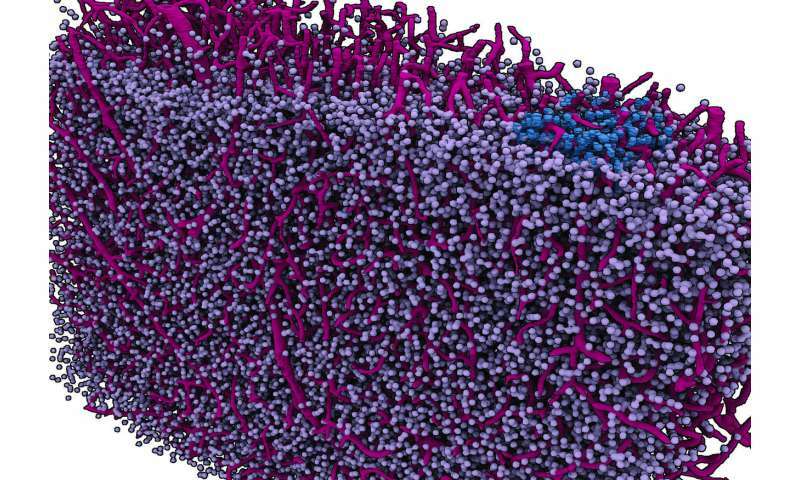 "Producing a three-dimensional map of just a cubic millimeter of the brain with an electron microscope requires processing petabytes of data," Dyer said. By contrast, the researchers need 100 gigabytes of data to compute a one-cubic-millimeter image of brain tissue using mesoscale X-ray tomography scans of thicker brain sections. But the researchers' goal is to not have to slice the tissue at all. "Eventually, we want to be able to image whole brains, as is, with this method to see the entirety of their neural networks and other structures."